Controversy sells. Clarity saves lives. Confusion in the field of nutrition is used to convince people to throw up their hands and say, “What’s the use! 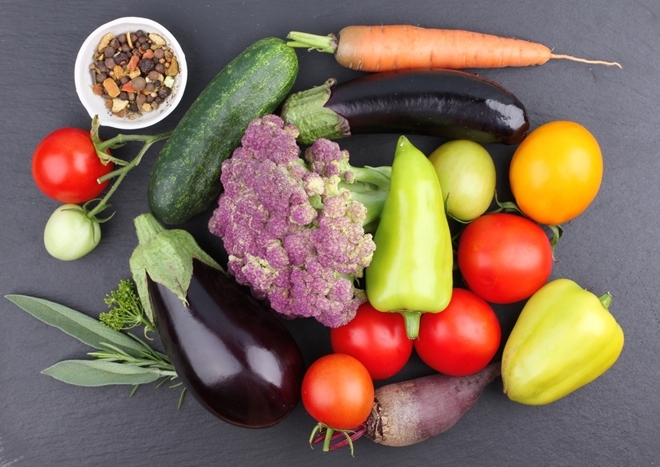 One day food X is good for you and the next day it is bad for you. Who knows what the truth is?” Confusion leaves you as a patient, a pawn in the pharmaceutical drug model of medicine. Big Pharma owns the media’s message about health, so don’t expect them to do anything but sell controversy and confusion. While we at Hallelujah Diet don’t claim to have perfect knowledge of nutrition science, we have been working in this field long enough to guide you into clarity. 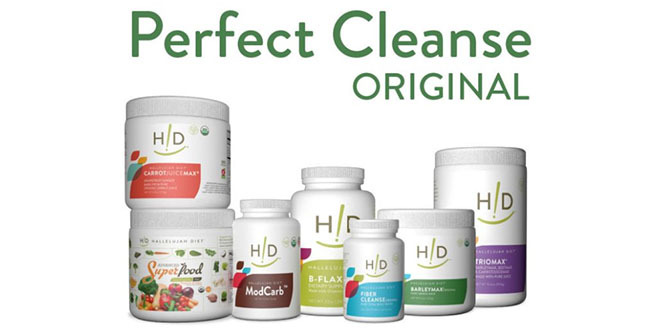 We are not in the business of getting clicks and selling ads, but in saving lives with clear-cut information and supplements that support detoxification and optimal nutrition. Take fish oil for example. Just this last year JAMA, the journal of the doctor’s union, the American Medical Association, published an editorial entitled, “Another Nail in the Coffin for Fish Oil.” (1) It referenced a large review of nearly 78,000 subjects in 10 different studies, whose authors concluded, “…omega-3 fatty acids had no significant association with fatal or nonfatal coronary heart disease or any major vascular events.” (2) In a recent webinar on fish oil I went back through published research and showed that when omega-3 fats were consumed in sufficient doses it resulted in about a 25 to 30 percent reduction in heart attacks and fatal heart disease. Clearly, the doctors’ union, the AMA, doesn’t want you to know the effectiveness of fish oil and the consistency of the evidence for using it. Now, two newly published studies extended these heart disease results. In the VITAL study people took 1 gram of EPA+DHA and/or 2,000 IU of vitamin D or a placebo. (3) While the main outcomes seemed to say that there was no effect of fish oil, a closer look revealed something else. It turns out that taking fish oil did have a significant reduction in heart attacks and fatal heart attacks, but not in reducing other signs of heart disease like strokes or death from cardiovascular disease. But when you looked at a combination of intervention procedures for clogged arteries (percutaneous coronary intervention (stent) or CABG (bypass surgery) or death from coronary heart disease, there was a significant reduction in risk due to taking fish oil. But this wasn’t the planned end point for analysis at the beginning of the study, so this wasn’t reported as a major finding. But a 17 percent drop in total coronary artery disease from just 1 gram of EPA+DHA a day is quite significant. Furthermore, in a sub-analysis in the appendix the research team found that 2 or more cardiovascular risk factors (smoking, diabetes, hypertension, high cholesterol, parental history of premature myocardial infarction) put African Americans at a much higher risk of having a heart attack. So, for some people even a small amount of fish oil can be very beneficial. All of these results together are a long ways from no effect of fish oil. In the other new study, called the REDUCE-IT study, people were given either 4 grams of EPA per day or a placebo and then followed for about 5 years. (4) While there were some effects seen in the VITAL study, the REDUCE-IT study was a home run for omega-3 fats. Overall, the results are consistent with previous results—about a 25-30% decrease in cardiovascular disease events when fish oil is taken in sufficient amounts. The results have been replicated in different populations, among people taking statins (like in the REDUCE-IT study), on different continents. 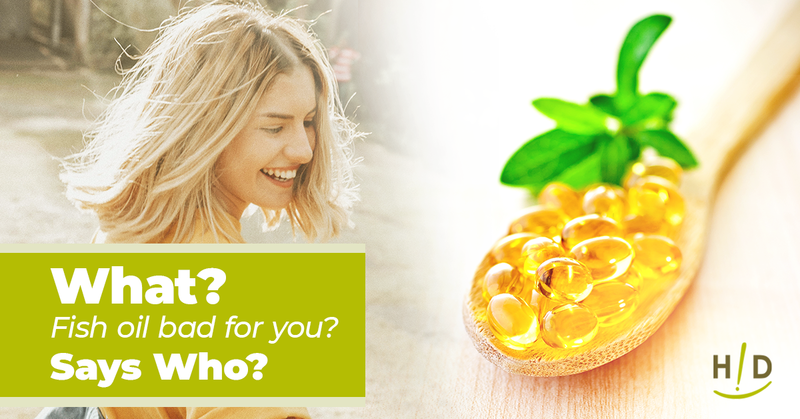 Fish oil or purified EPA or DHA are beneficial nutrients. So, what should you do? Take fish oil. Take enough for your specific situation. Most people will get their Omega-3 Index above 8% with 2 grams of EPA and/or DHA per day. This could come from 1 teaspoon of Pharmax Finest Pure Fish Oil or from 2 capsules of Professional Strength DHA. In a head-to-head comparison high dose DHA was more effective than EPA (5), so Professional Strength DHA is a good choice. Take fish oil and reap all the extra side benefits of omega-3 fats as well—better brain health, better joint health, and better immune system function. Skip out on fish oil and increase your risk of ill health and an untimely death. Just don’t wait for the media to tell you what to do. They sell controversy, not clarity. The evidence is clear for all who want to see it. Get your fish oil and take it with confidence knowing that you are doing yourself a great favor. Abbasi J. Another Nail in the Coffin for Fish Oil Supplements. JAMA. 2018 May 8;319(18):1851–2. Available HERE. Aung T, Halsey J, Kromhout D, Gerstein HC, Marchioli R, Tavazzi L, et al. Associations of Omega-3 Fatty Acid Supplement Use With Cardiovascular Disease Risks: Meta-analysis of 10 Trials Involving 77 917 Individuals. JAMA Cardiol. 2018 Mar 1;3(3):225–34. Available HERE. Bhatt DL, Steg PG, Miller M, Brinton EA, Jacobson TA, Ketchum SB, et al. Cardiovascular Risk Reduction with Icosapent Ethyl for Hypertriglyceridemia. N Engl J Med. 2018 Nov 10;0(0):null. Available HERE. Allaire J, Couture P, Leclerc M, Charest A, Marin J, Lépine M-C, et al. A randomized, crossover, head-to-head comparison of eicosapentaenoic acid and docosahexaenoic acid supplementation to reduce inflammation markers in men and women: the Comparing EPA to DHA (ComparED) Study. Am J Clin Nutr 2016 Aug 1;104(2):280–7. Available HERE.